Mike Strizki, chief technology officer of the Hopewell Project, a New Jersey-based nonprofit committed to the advancement of renewable energy, wanted to create a house that ran exclusively on renewable resources. By developing plans to retrofit his existing home, he hoped to develop a repeatable, sustainable approach that others could apply to their own houses. Strizki’s design for the “Solar-Hydrogen Residence” employed a sophisticated sustainable energy system to address the home’s heating, cooling, and cooking needs. 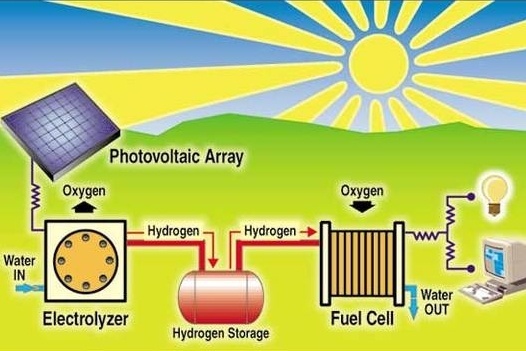 After creating the design, Strizki ordered the solar panels, storage batteries, hydrogen electrolyzer, generator, and tanks necessary to complete his project — but he didn’t have the connection equipment or the required expertise to assemble the components into a functioning system. 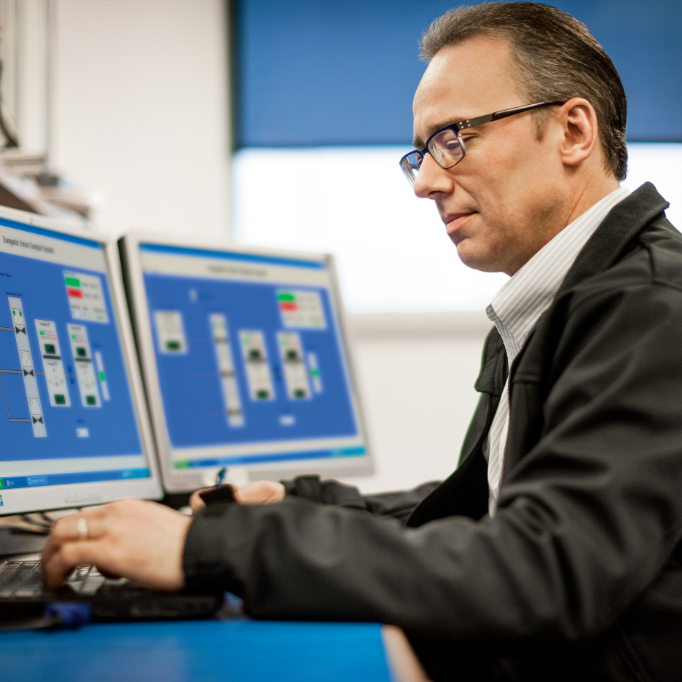 Upon hearing about Strizki’s project, the local Swagelok sales and service center knew that Swagelok would be the perfect supplier for the project. With extensive experience on projects throughout the research and sciences industries, the Swagelok team takes pride in our involvement in groundbreaking projects, from deep-sea exploration to alternative fuel creation. Relying completely on solar power, the house design incorporated 56 solar panels to absorb energy from the sun, which would then be converted into electricity. During sunny periods, this energy would not only provide heating and air conditioning, but would also power appliances and fill the hot water tank. Additionally, more than half of the collected energy would be converted into hydrogen. When overcast, this stored energy would be converted into electricity to keep the house warm. After doing CAD work to determine flow rates, pressure drops, and other vital information, Swagelok amended the original blueprints to create a more efficient design. For instance, rather than straight tubing between hydrogen tanks, Swagelok used expansion loops to minimize the effects of temperature changes and thereby reduce pressure changes in the hydrogen or tank shifting in general. Once the planning stages were complete, Swagelok supplied all necessary equipment: all points of connection and all fluid controls, including 300 ft. of stainless steel tubing, 16 AFS ball valves, 10 gauges, manifolds, fittings, and many other components. Backed by Swagelok’s solid reputation and years of experience in the industry, Strizki quickly earned the support of building code inspectors — the project was readily approved. With Swagelok’s help, the innovative Solar-Hydrogen Residence was completed successfully, making it the first of its kind; never before had an existing house been retrofitted for total self-sufficient solar and hydrogen power. By illustrating the power and practicality of renewable energy sources, Strizki hopes his home will serve as an example of things to come. Can your design or plan be tweaked to shrink costs, time, size, or risk? We'll let you know. 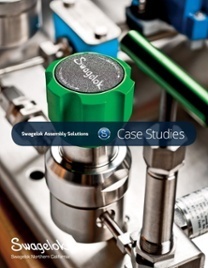 Download a collection of customer case studies that involve Swagelok assembly services. Local views + R&D news once a week from Swagelok Northern California.